100 of the top veterans, retired greats, and elite rookie players. Featuring reproductions of original pieces of painted art on canvas stock. Over 60 retired, veteran, and rookie players with on-card autographs. Sequentially numbered. Over 20 pairs of players. Sequentially numbered to 15 or less. Up to 10 player combinations. Sequentially numbered to 5. Up to 30 of the game’s greats in high action photography. Numbered to 25. Featuring current stars and rookies alongside pieces of their game-used uniforms. Sequentially numbered to 50 or less. 25 or more pairings featuring a relic piece from each player. Sequentially numbered to 50 or less. Over 150 MLB Silhouetted Batter Logo patches from game-used uniforms. All numbered 1-of-1. Up to 200 laundry tag pieces from modern-day superstars and rookies. All numbered 1 of 1. Up to 100 cards showcasing player nameplates from game-used MLB bats. All numbered 1 of 1. Showcasing up to 50 jumbo-sized memorabilia pieces. Sequentially numbered to 5. Featuring 4 pieces of game-used memorabilia. Sequentially numbered to 99 or less. - Copper - #’d to 75 or less. - Gold - #’d to 25. - Emerald - #’d 1-of-1. Up to 20 of the best ballplayers are highlighted. Sequentially numbered to 25 or less. - Gold - #’d to 10. Showcasing up to 25 player combinations, with relic pieces from each subject. Sequentially numbered to 99 or less. 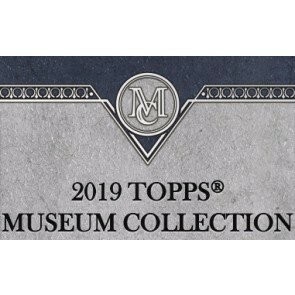 Up to 30 of the most collectible players of MLB on unique cards containing on-card autographs and game-worn uniform patch pieces. All numbered 1 of 1. Up to 75 subjects showcasing jumbo-sized patch pieces and autographs. Numbered to 15 or less. NEW! Up to 30 subjects showcasing jumbo-sized patch pieces and autographs. Numbered to 5 or less. Up to 40 players alongside their autograph and 2 relic pieces. Sequentially numbered. - Copper - #’d to 50 or less. Over 30 players with 3 relic pieces and their autograph. Sequentially numbered. - Copper - #’d to 25 or less. - Gold - #’d to 5.